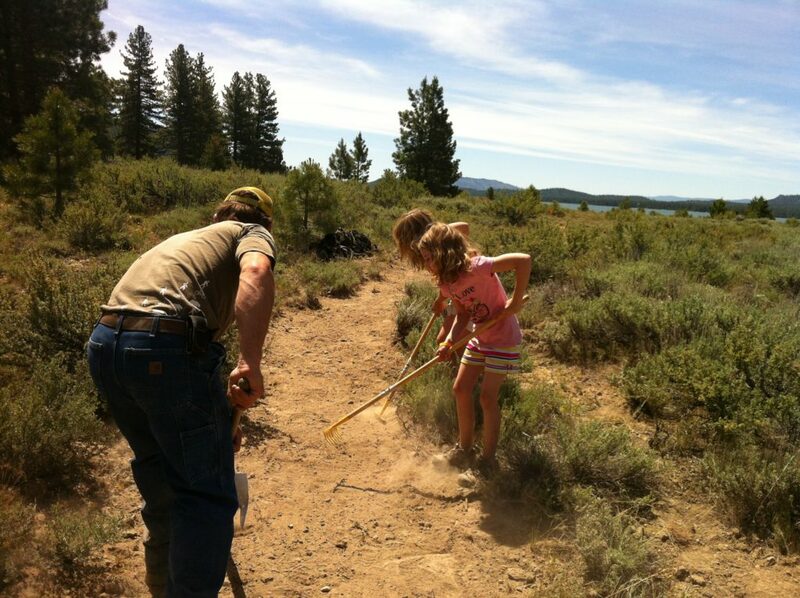 Teaching the next generation to love and care for the trails and our Public Lands. Remember your first summit up the stairs of the Sierra Buttes lookout? 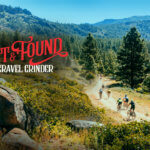 When you rode Mills Peak trail? When you viewed the amazing beauty of the Lakes Basin? These experiences are what fuel outdoor enthusiasts and our appreciation for nature. That’s what the Trail Kids program is all about – making positive, lasting memories in the outdoors for youth while engaging in environmental education activities and stewardship. Sierra Buttes Trail Stewardship is a family friendly organization. 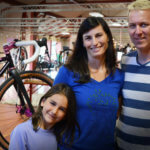 We encourage you to bring your kids to the next Trail Kids project. 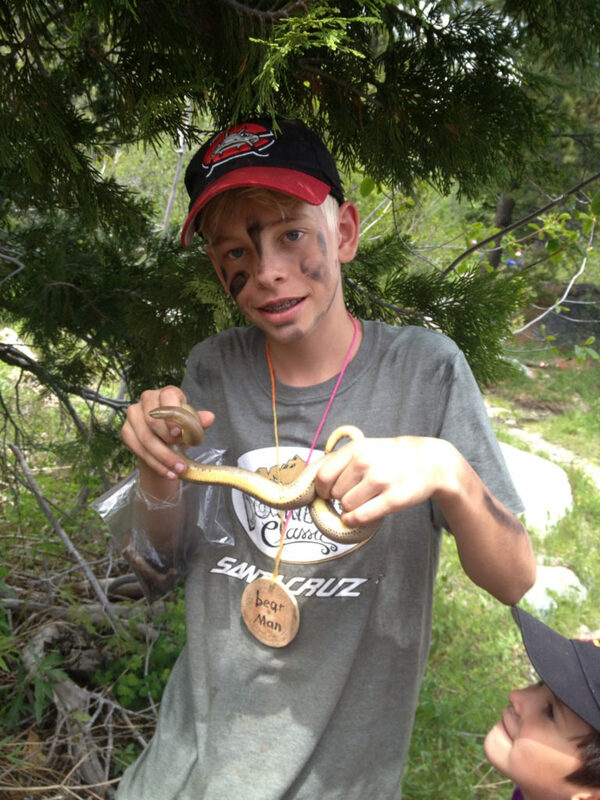 Trail Kids is offered at each of our Trail Daze events throughout the trail season. 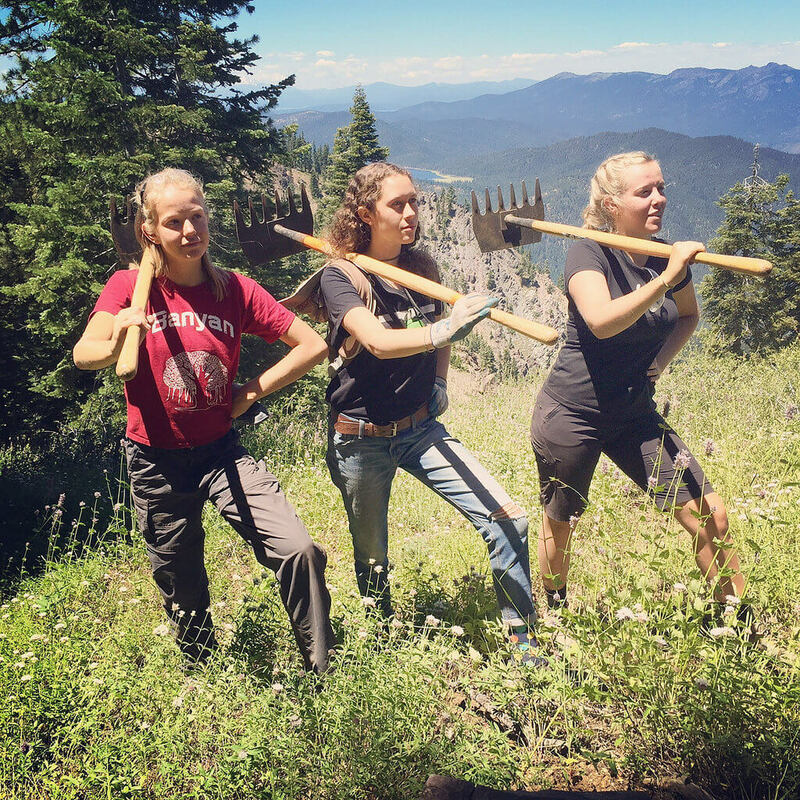 Kids will summit peaks, explore waterways, find native wildlife, participate in trail maintenance, learn about healthy tree identification and most importantly, they will have fun! Soon enough they will be dragging you out every weekend for more adventures in the Sierras. Likely my most memorable times have been when my two boys were here and enjoying all that the (DV Classic) weekend had to offer….it made a difference in their lives. Our Trail Kids’ leaders are medically trained and CPR certified and have emergency response training to make sure your kids are safe. Our leaders pack a lot of praise and have patience for the kids’ learning, ensuring every kid comes away feeling like they truly accomplished something. Kids will acquire new skills and a greater awareness of the outdoors, while forming memorable experiences and respect for the trails and nature. 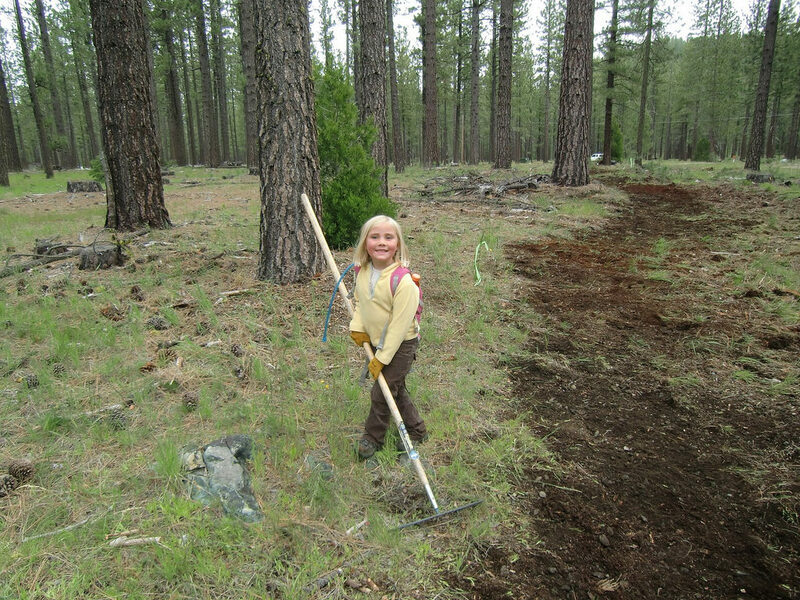 Trail Kids is all about the journey of our future outdoor stewards! 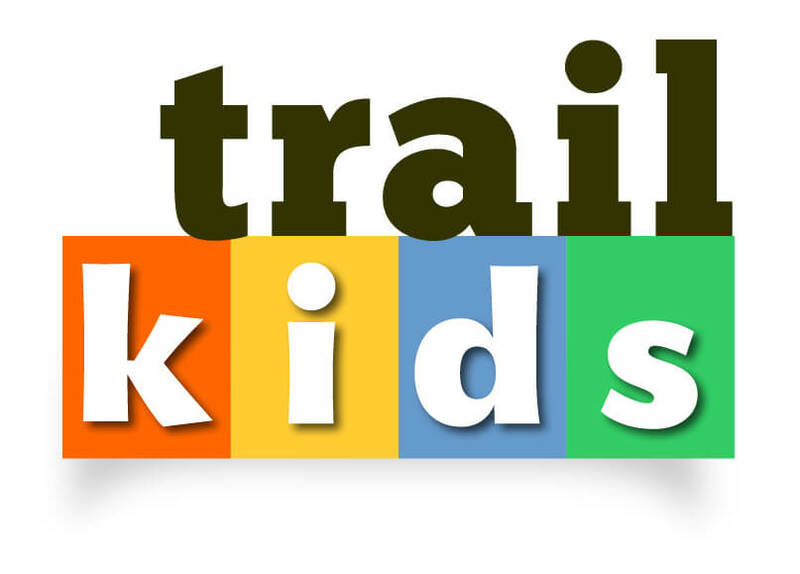 Trail Kids is offered to youth ages 5 and up who want to explore, connect and learn about the trails using tools that are just their size. Lunch and snacks are provided, and every Trail Kids participant receives a pair of SBTS Trail Kids socks. Note for Parents: Bring a backpack with water bottles or a hydration pack, layers, jacket, hat, and sunscreen. Savvy parents may pack an extra set of clothes (maybe even a swimsuit to go for a swim in a nearby lake or river) for after the workday, so the kids are in clean clothes to travel home. A Trail Through the Woods to Grandma’s House?